Growing up, I was a fairly active kid. In high school, I ran track and cross country which pretty much allowed me to eat whatever I liked. I wasn’t super skinny (or I thought) but I was in a good range for myself. It was fairly easy for me to stay this way too. Sure, I was semi-active but it’s not like I tried my hardest at practice all the time. 2007: It wasn’t really noticeable when I started putting on the weight. After high school, I would exercise maybe 2-3 times a week at first and even less as time went on. I’m sure the pounds were slowly creeping on as my fast food intake skyrocketed but I don’t really know because I never used a scale. I had a job at a daycare which kept me fairly active during the day chasing toddlers which also helped. 2008: I estimate from the clothes I was able to wear around that time that I was probably around 160 pounds. I never stepped on a scale other than at the doctor’s office and even then, I tried to push it out of my mind. But even that wasn’t my biggest. I moved and I landed a desk job. I was sedentary for 9 hours a day at work followed by a large-portioned, high-calorie dinner, followed by a couple more hours of sitting in front of the TV. Exercise was nonexistent. I ballooned to 180 pounds in 4 months. The turning point for me was when I was in my favorite store from my teenage years, American Eagle, to get some jeans and I had to get the highest size they had: a size 14. I have no full-body pictures from this time. Pictures at all from this time are very rare. I decided to start watching what I ate and spent a couple weeks with a food diary to see where my calories were coming from. I started using the apartment gym when I went to do laundry and a couple other times a week. I focused first on portion sizes. This also helped the grocery budget go further since the average chicken breast is twice the size of a normal portion! 2009: About 6 months later, I had only lost 5 pounds. My exercise was scarce and while I was making healthier food choices than before, I still ate fast food often. I started to track my calories each day. I created an Excel spreadsheet that was much easier to track food on and I’ve been using it ever since. I started cutting out fast food and other high-calorie convenience foods from the grocery store. I had since moved to a new apartment complex with a better, safer gym that I felt more comfortable frequenting often and normally went 4-5 times a week. 6 months later, I was down to 160 pounds, 20 pounds lost. This is when I started blogging. I continued to exercise often and learn new ways to make food healthier. I tried to fashion the blog like my favorite fitness and health blogs that kept me motivated. 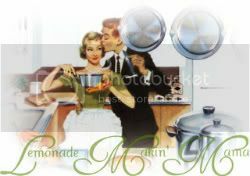 Even though my posting was sporadic, the habits of eating smaller portions and more real foods were sticking. I posted about my progress in September, coming out with feelings that I had been scared and embarrassed to share. I was constantly reading fitness and healthy eating material, learning as much as I could about how to make myself healthier. I began eating even less processed foods and more foods from scratch. By the end of the year, I had lost 10 more pounds. 2010: I started the year at 150 pounds. I also started noticing that the weight was getting harder and harder to get off. I had my sister’s wedding to get ready for later in the year so I decided to try a new workout. I started using intense workout DVDs that helped. They helped me lose weight but they also helped change my body. I didn’t lose that much weight but I could definitely tell a difference in inches and dress sizes. By May, I was down to 146 pounds and a size 6! May is when I decided to become a vegetarian. I did this for ethical and health reasons. This was not a diet move. I continued to exercise and eat well and was down to 140 pounds by October, for my sister’s wedding. As I continued to learn more about health and other things, I became aware of the harmful effects genetically modified organisms can have on a person’s health. This led to the decision to buy only organic products or products that are involved with the Non-GMO project. 2011: I started the New Year at 143 pounds, padding leftover from a couple months’ of laziness and too many treats. I continued to climb as my diet slacked and my exercise motivation was low. My grandmother became ill in March, which really affected me. I got up to 148 pounds before deciding that I really needed to correct my behaviors. I went through my already pretty-good diet with a fine-tooth comb, improving where I could and cutting out where I needed to. But the biggest change I made was in how I exercised. I was more diligent in running and started doing workout DVDs to tone but still wasn't seeing the numbers drop. Then, I read The New Rules of Lifting for Women. I loved the ideas and attitude of this book. While I don't follow the plan in the book, I do follow the idea. I lift real weights (at 50 lbs, currently! ), not 3 pound hand weights. I've always heard the high reps, low weight story for women but can honestly say (at least for me) that doesn't work. I have lost 11 pounds in just over months, and have gained noticeable muscle. My favorite thing about weight lifting is that I've noticed the weight coming off in the places it hadn't really been coming off of before. I honestly cannot rave enough! I still haven't reached my original goal but I am still trying. The main thing I have learned from this journey is that fad diets don’t work. There is no magic pill. And no one should lose 10 pounds in two weeks. Weight loss that sticks is found by changing habits and assessing your nutrition. I am not a registered dietitian or a fitness expert. But I do know that I have lost 45 pounds just by watching what I eat and staying active. Just by assessing how much food I really need to eat and not eating more than that. It’s not easy but it is possible. 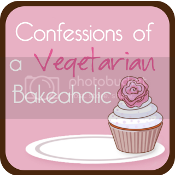 And with that, welcome to Confessions of a Vegetarian Bakeaholic! I hope you find the information here both helpful and entertaining! Feel free to e-mail me with any comments, questions, concerns, ideas, etc!